The £50,000 prize (approx. $86,990 Cdn) is awarded each year for the best original novel written in the English language. 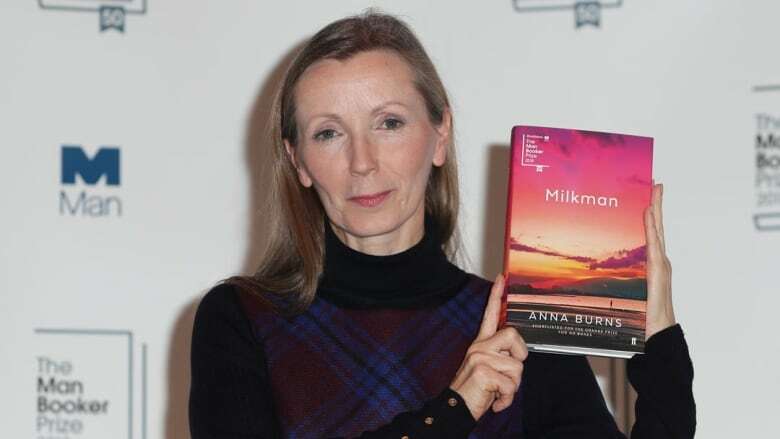 Anna Burns has been awarded the 2018 Man Booker Prize for her "surprising and immersive" novel Milkman. The £50,000 prize (approx. $85,260 Cdn) is awarded each year for the best original novel written in the English language. Burns is the first Northern Irish writer to win the prestigious literary award. A former Orange Prize finalist, Milkman is Burns's third novel. It follows a protagonist known only as middle sister, who struggles to keep her boyfriend — as well as an encounter with the Milkman — secret. "None of us has ever read anything like this before. Anna Burns' utterly distinctive voice challenges conventional thinking and form in surprising and immersive prose," said Kwame Anthony Appiah, chair of judges, in a press release. "It is a story of brutality, sexual encroachment and resistance threaded with mordant humour. Set in a society divided against itself, Milkman explores the insidious forms oppression can take in everyday life." In her speech, an emotional Burns thanked her agent, publisher and her fellows on the shortlist and longlist. This year's jury included Canadian artist Leanne Shapton, philosopher Kwame Anthony Appiah, crime writer Val McDermid, critic Leo Robson and feminist writer Jacqueline Rose. Victoria, B.C.-based writer Esi ​Edugyan (Washington Black) was the sole Canadian on the shortlist in 2018, accompanied by U.K. writers Daisy Johnson (Everything Under) and Robin Robertson (The Long Take) and American authors Richard Powers (The Overstory) and Rachel Kushner (The Mars Room). The winner was announced at a ceremony in London with the Duchess of Cornwall. Three Canadians have won the prize since its inception in 1969: Michael Ondaatje in 1992 for The English Patient, Yann Martel won in 2002 for Life of Pi and Margaret Atwood was recognized in 2000 for The Blind Assassin. Earlier this year, The English Patient was crowned the Golden Man Booker winner. The special one-off competition was designed to mark the 50th anniversary for the British literary prize. It placed the Man Booker Prize's previous 51 winners in a head-to-head battle to determine which has stood the test of time.